You could say we are a wee bit obsessed with one Steven Peter Devereux Smith on here. That we are, fair to say, fans of the cut of his jib. But it would also be fair to say that, when push come to shove, we prefer the Devereux of the 2012/3 vintage. The Devereux who was leading the Sydney Sixers to Big Bash success, throwing himself around in the field for the Pune Warriors in the IPL, was just about to break into the big time with the Australian setup, and, most of all, was a standard bearer for funny hat wearers everywhere. That was the Devereux who was worshiped in dark recesses of the internet, where aficionados would pass back and forth grubby YouTube videos of his latest exploits and gaze in wonder at this unknown, unappreciated phenomenon that was the ‘Devereux’. This man + that hat = a legend is made. Today, though, Devereux is old news. His career has gone through more stages in a shorter period time than probably any other cricketer who has ever lived. 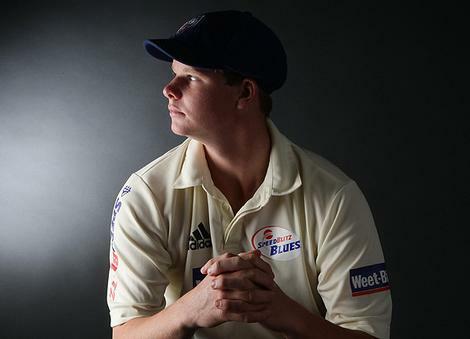 He went from mocked outcast to unappreciated boy-wonder to a new phenomenon to now, as captain of Australia across all three formats, somewhat passé. Devereux is, at 26, no longer as exciting as he once was. All the cool kids are into Usman Khawaja now. Frankly, we are unsure as how to deal with this turn of events. The Devereux of five years ago is gone, replaced by a far different creature. It’s like when you bring children into a relationship: that original spark is still there, but now it’s been burdened with a great deal of responsibility too. Or at least we imagine that’s what it would be like if we were ever responsible enough to actually have any children. People don’t like Devereux now simply because he is Australian captain, and they are hardwired to dislike Australian captains. Devereux is criticised for being outspoken by people who can’t seem to understand that, as a captain, he is required to speak an awful lot now. Would we prefer the old Devereux back? The one that used to play lower order cameos for Pune, get photographed with lion cubs and bowl the occasional over of legspin? Absolutely. But that doesn’t mean we dislike the current Devereux either. He is still doing a pretty decent job, scoring runs and Australia are winning matches. Well, most of the time. He has occasionally overstepped the line, but far less often than you’d think given the media scrutiny. In fact it’s that media scrutiny that has forced us to accept the frankly unpalatable notion that Devereux may not, in fact, be perfect. He occasionally stuffs up. When the media ignored him, we could get away with ignoring that, but not so much now. Our greatest fear, which stalks our waking hours, is that Devereux will slowly, piece by piece, morph into Michael Clarke. 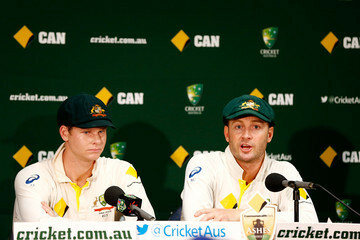 Clarke was, it can now be safely accepted, an utterly miserable prick as Australian captain. The more we see of Devereux standing at first slip, arms crossed and looking annoyed, the more we worry it’s eventually gonna happen. One day Devereux might turn into a prick, who just cares about winning and will be happily to manipulate the opposition, the umpires and even his own teammates to that end. We really hope Devereux wasn’t taking notes here. An obsession with winning is a pre-requisite for any Australian captain but we don’t think Devereux will take it to the extremes that Clarke or Ponting did. For a start, he is a better captain than either of those, who both largely relied on leading from the front and by example. Devereux is still scoring a lot of runs, but he is rarely the only one. Clarke’s, and even Ponting’s, greatest successes came when they were the ones doing all the heavy lifting. Devereux hasn’t needed to as a captain thus far, and it’s probably because he is a more natural leader, better at getting the most out of players around him. Clarke’s greatest achievement was supposedly getting the best out of Nathan Lyon. 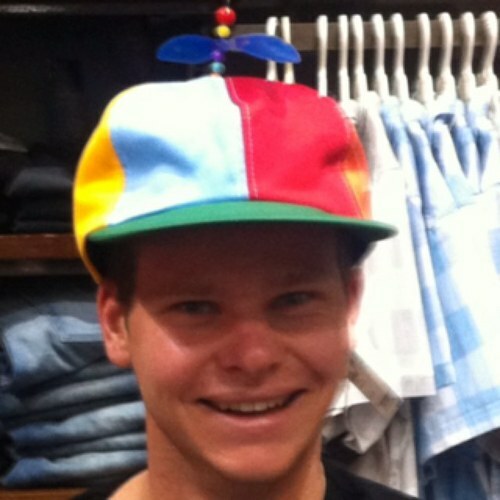 From what we have seen of Devereux’s career so far, he is probably doing an even better job of that than Clarke did. And he has made it look effortless. That’s the sign of a good captain. So whilst we don’t think Devereux will go down quite the same path the last two Australian captains did, it is still fair to say some of the veneer has been rubbed away. He is not the Devereux of five years ago anymore and he never will be again. Perhaps there is a lesson to be learned here, something about not pinning your hopes to any one person, or putting anyone on too high a pedestal, but honestly, we are too thick for any of that mumbo jumbo. So we’ll just go on loving Devereux all the same, and pretending that when he turns out for the Rising Pune Supergiants (or is it the Supergiants Rising Pune?) in this year’s IPL, it is just 2012 all over again. And with Dhoni taking the reins in that team, perhaps it will be the old Devereux that we all know and love who turns out. Meanwhile, we will be keeping our eye out for the next big thing who happens to have a highly amusing middle name. Just in case.